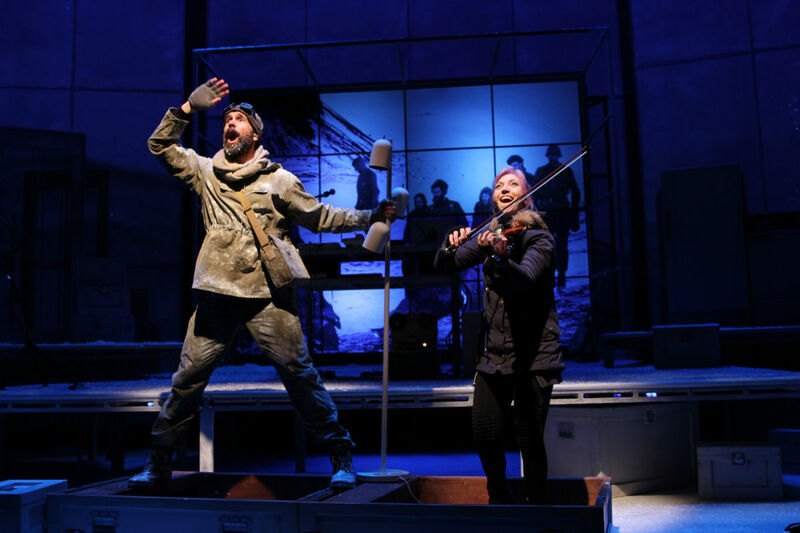 Theater Close-Up: Ernest Shackleton Loves Me premieres Monday, November 26 at 9 p.m. on THIRTEEN, bringing the Best New Musical Winner of the 2017 Off-Broadway Alliance Awards to television for the first time. 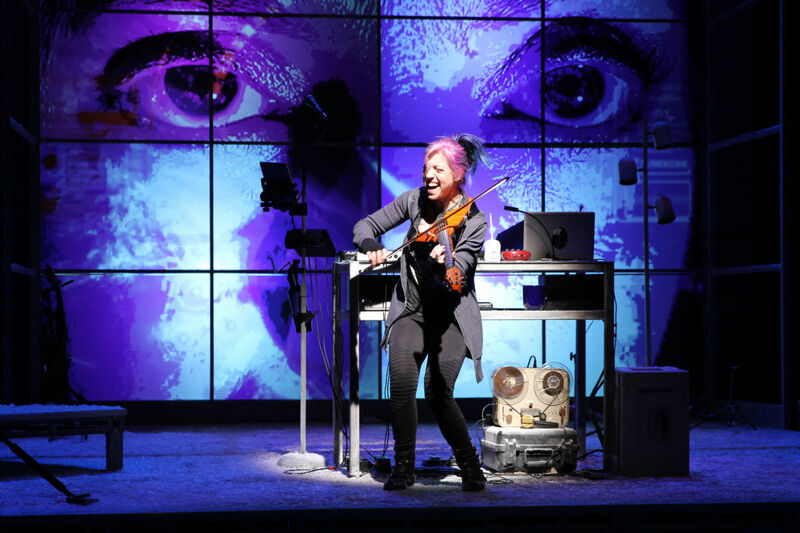 This wildly inventive musical adventure tells the story of Kat, a sleep-deprived single mom, who struggles to balance her family and career as a video game music composer. Late one night, while posting a dating video from her cramped New York City apartment, she receives an unexpected response from the polar explorer Sir Ernest Shackleton (1874-1922), one of the most iconic leaders of the 20th century. 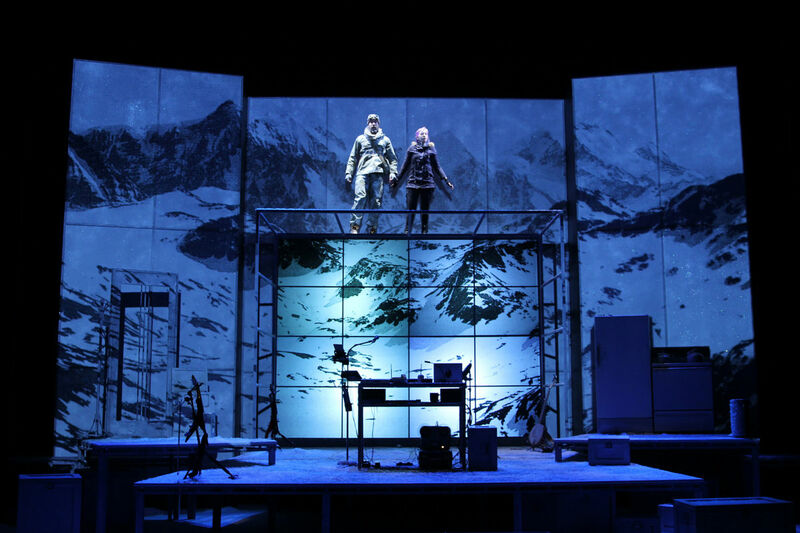 Shipwrecked and stranded on an iceberg in the Antarctic, Shackleton reaches across space and time to share his heroic journey with her. Against all odds, they discover that their greatest inspiration lies within each other. Starring GrooveLily’s fierce electro-violinist Valerie Vigoda (Striking 12) playing live on stage, and the charismatic Wade McCollum (Wicked), Ernest Shackleton Loves Me is helmed by Obie Award® winning director Lisa Peterson (An Iliad) and features an imaginatively romantic script written by Tony Award® winner Joe DiPietro (Memphis). Is a single mom over 40 in New York City more likely to meet a dead polar explorer than a viable love interest within commuting distance? The humor and emotion of the musical are as compelling as the scenario is absurd, and the absurdity itself does fuel many laughs. The cheerful bravado of Shackleton and his obliviousness to the impossibilities of pursuing the tattooed Kat are endearing. To my great surprise, the outcome of one suspenseful passage depicting Shackleton’s early 20th-century journeys had me fighting back tears. Like in any Spielberg film, the storytelling and score are expertly timed. Upping the ante of live performance, Vigoda acts, sings and plays the score. As Kat records her video profile on the dating site Cupid’s Leftovers, she demonstrates how one person can orchestrate a song with live looping (recording and playback of notes in real time), using equipment that shares space with her baby monitor, landline phone and musical instruments. 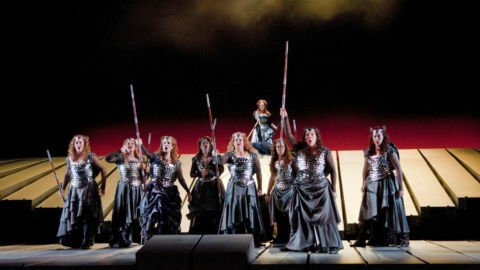 What the two busy actors can’t conjure on stage themselves is solved with the inventive use of large video monitors as backdrops. Theater Close-Up is a unique collaboration between THIRTEEN and New York City-area Off-Broadway and regional theaters, and shines a spotlight on the best and brightest local productions. 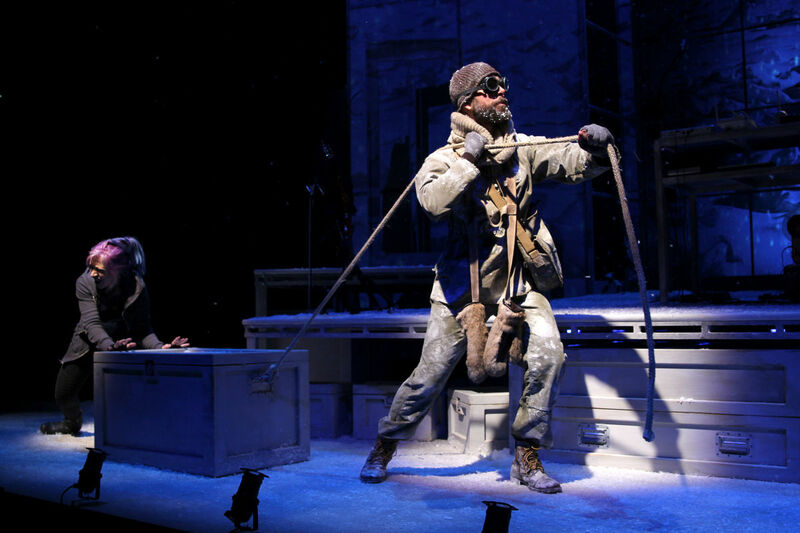 After the Ernest Shackleton Loves Me broadcast, the performance is available for online viewing for 30 days. THIRTEEN is using its unrivaled expertise in producing national PBS arts programming to provide New Yorkers with unparalleled access to one of the city’s greatest underexposed cultural assets. 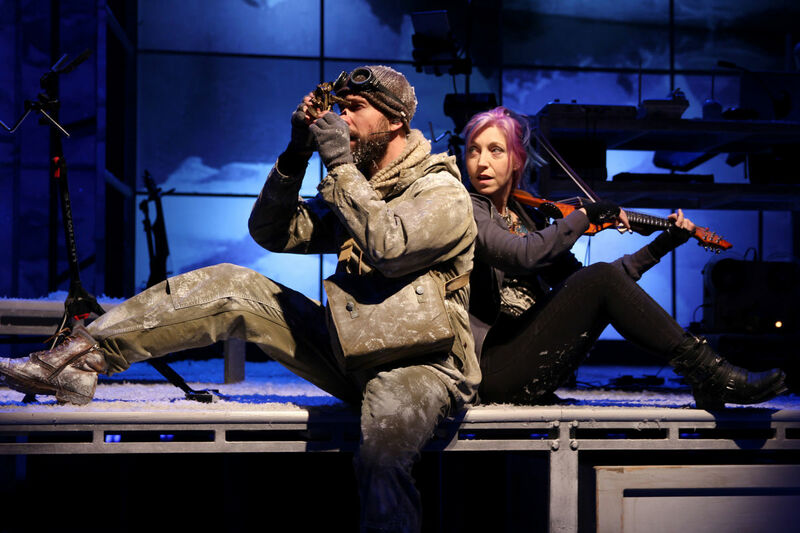 You don’t have to be familiar with the real-life Shackleton to appreciate this musical. But if you are curious to learn more, THIRTEEN offers the three–part documentary Chasing Shackleton, which follows a modern expedition that re-creates Sir Ernest Shackleton’s Trans-Antarctic Expedition, which launched in 1914. The series joins a crew of five intrepid explorers, led by renowned adventurer, scientist and author Tim Jarvis, as they duplicate Shackleton’s epic sea-and-land voyage in a replica of the original explorers’ lifeboat, James Caird, using only the tools and supplies his team used. When the ship The Endurance was crushed by ice and sank, Shackleton’s heroic leadership in the face of almost certain death saved the lives of 27 men stranded in the Antarctic for more than 500 days. 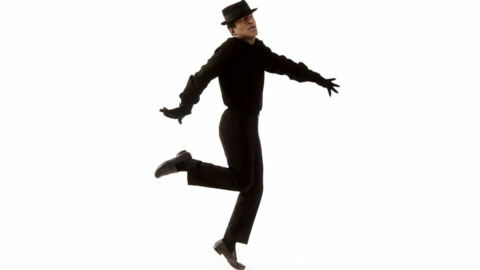 The feat has inspired generations of other explorers, and… an award-winning Off Broadway musical.